Who’s Who and What’s What at Whole Foods Market? Would you buy your wild oats from a Yahoo named Rahodeb? What if he is a blogger named John Mackey, who also happens to be founder and CEO of Whole Foods Market? According to “An Identity Crisis at Whole Foods Market“, as Rahodeb the anonymous Yahoo stock-market poster, he told the world that Whole Foods Is Hot, and Wild Oats is NOT. He did not tell the world that he, Rahodeb was the CEO of the Whole Foods Market that was hoping to purchase Wild Oats Market. His hopes recently came to fruition as the company of John Mackey, aka Rahodeb, recently agreed to buy Wild Oats for $565 million, or $18.50 a share. Beginning in the late 1990s, Rahobed seems to have trolled the Internet with mischief in mind and corporate greed in his heart. In real life he was known as a Yogi and vegan Texas rancher. Are America’s consumers going to continue trusting their organic food purchases to someone who attempted to tarnish another food company’s good name and stock price? Are investors going to keep up the cash flow? According to “Whole Foods Is Hot, Wild Oats a Dud — So Said ‘Rahodeb,’” for about eight years prior to the Whole Foods – Wild Oats agreement, Mr. Mackey posted numerous messages on Yahoo Finance stock forums using the pseudonym of Rahodeb, an anagram of his wife’s name. Rahodeb quickly became known as a cheerleader for Whole Foods stock. He was so anonymous, that he even spoke of himself in the third person. Expressing pride in the CEO’s work Rahodeb wrote in 2000, “While I’m not a ‘Mackey groupie, I do admire what the man has accomplished.” He cheered Whole Foods’ stock and bashed Wild Oats. “I admit to my bias. I love the company and I’m in for the long haul. I shop at Whole Foods. I own a great deal of its stock. I’m aligned with the mission and values of the company … Is there something wrong with this?” Perhaps the answer to Rahodeb’s question will be forthcoming as the Federal Trade Commission has initiated a lawsuit seeking to block the Wild Oats takeover on antitrust grounds. How great is this? The famous American lady photographer, Annie Leibovitz , won the gig to shoot the Queen on her eightieth birthday. During the shooting, Annie the First requested, ever so politely, that Elizabeth the Second remove her gem-encrusted sparkling spiked tiara from her royal head, in order to make a more down-to-earth and interesting portrait. Elizabeth, Head of Church and State, was so stunned at this extraordinary “decrowning” demand from a mere mortal, that she lost her queenly temper and regally stormed out of the palace chamber, dragging her train behind her. Actually, she did not drag her velvet train as it was most carefully carried by the Queen’s ladies in waiting. During the programme photographer US celebrity snapper Annie Leibovitz sizes up the Queen in her full regalia and ventures: “I think it will look better without the crown, because the garter robe is so…” . Before the photographer can finish … the Queen raises her eyebrows, fixes the snapper with an icy stare, and snaps: “Less dressy? What do you think this is?” TV cameras follow the Queen storming off with an official lifting the large train of her blue velvet cape off the floor as the Queen tells her lady-in-waiting: “I’m not changing anything. I’ve had enough dressing like this thank you very much.” This is all according to reports from Britain’s Daily Mail. Leibovitz, being the pro that she is, managed to snap the footage of the stormy whirlwind and captured Her Majesty’s face at the very moment that Majesty was contemplating sending Annie to the Tower of London. It gets even worse, for although Queen Lillibett may have given commoner Annie a piece of her mind, it was actually Annie who got the last laugh, with this — the official photographic portrait of the long-lived queen. Not only is Elizabeth “uncrowned”, but Annie has turned her into a vampire looking Munster Queen. And I bet Annie did it with Picasa 2 too, using the “Focal B & W” effect, although she will never admit it. UPDATE: Since I first “reported” this event as it appeared in Britain’s “Daily Mail”, it has been discovered that the original news story came from the BBC, which has now apologized to both the Queen and Annie for misrepresenting the behavior of both. So the new news is that The Queen and Annie are good and proper folks and it is the BBC that deserves contempt … I guess. It is a bit much for Kerfuffles to find and follow the truth, however, Annie’s portrait of Queen Lillibett Munster has not changed … yet. LOOK MA — No Fireworks! If you want to buy safe “Made In China” products, look to fireworks, as none made the 2007 Dangerous Recall List (Two in 2006). American consumers love bargains and Communist Chinese manufacturers love providing them. 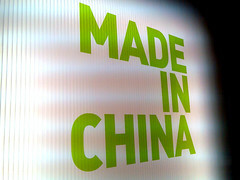 However, after reading this list of the dangers from China during the first six months of 2007, no responsible consumer will ever again purchase “Made in China” jewelry for their children or grandchildren. In January 2007, there were Dangerous Candles from Sally Foster; Toxic Overalls from Samarra Brothers; Fire Hazard Heaters from Family Dollar Stores; Bad Wiring In Fans from Holmes Group; Baby Travel Dryers With Electrocution Hazard from Metropolis Beauty; Improperly Wired/Flammable Lamps from Hong Ten Trading. In February of 2007, we had Overheating DVD Remote Controls from Best Buy; Lead Poisoning Claudia Jublot children’s rings sold at Big Lots stores; Defective Lamps from Currey & Company of Georgia; Lead Jewelry Accessories from Kidsite sold at Kmart; Toxic Jackets with snap closure of lead from Samara Brothers; Lead Bracelets from the “Ultra Gear” brand; Hazardous Toy Batteries that melted and caught fire from JAKKS Pacific ; Lead Children’s Rings from Rachael Rose Kidz. April 2007, found Poison Pet Food made in America was killing American pets because two Chinese companies intentionally exported contaminated pet food ingredients to the United States; Flamable Hanukkah Candles from Aviv Judaica Imports ; Oil Heater Fire Hazard from Holmes Group; Flaming Boomboxes from Coby Electronics; Collapsing Baby Seats recalled by Oeuf; Flammable Baby Clothes from the Disney Stores’ Baby Einstein brand; Hazardous Candles from McCormick Distilling Company; Lead Children’s Bracelets from A&A Global Industries; Lead Key Chains from Dollar General Merchandising; Shocking Palm Trees, Pre-lit Palm Trees from iObjectSolutions; Unguarded Blades on Sears “Craftsman” brand. Sears instructed customers to remove the “Craftsman” logo label from their Chinese-made Craftsman Circular Saws so that the label could not become detached and expose the saw blade. In May of 2007, we dined on Toxic Fish from China as what was labeled as monkfish was actually deadly puffer fish; Tween’s Lead Jewerly from Tween Brands Inc. of New York; Toxic Lead Drums from The Boyds Collection of Pennsylvania in its “Eli’s Small Drums and Liberty’s Large Drums;” Children’s Turquoise and Lead Rings from Cardinal Distributing Company of Maryland; More Lead Children’s Jewelry from Spandrel Sales and Marketing of Arizona; Collapsing Stools from Cracker Barrel Old Country Store; Lead Bamboo toys manufactured by HaPe International Ltd; Hazardous Grills from Sagittarius Sporting Goods; Toxic Jesus Fish Children’s Necklace from Oriental Trading Company of Nebraska; and Hazardous Candles that were highly flammable from Vivre Royal . In June of 2007, we purchased Deadly Tires from Tire importer Foreign Tire Sales, based in Union, N.J., shoddily manufactured by Hangzhou Zhongce Rubber Company resulting in traffic deaths; we may have eaten Tainted Seafood as the FDA detained imports of Chinese catfish, basa, dace, shrimp and eel; Thomas the Toxic Lead Painted Tank Engine Toys arrived from American toy company RC2; Lead Children’s Earrings were sold in Kmart stores; Deadly Cribs “Nursery-In-A-Box” from Simplicity Inc.; we brushed our teeth with low-priced but Poisonous Toothpaste containing diethylene glycol, which poisons the liver and kidneys and depresses the central nervous system; Lead Butterfly Necklaces for kids from Geocentral; Pier 1 Imports Unexpected Shattering glassware; Collapsing Recliners from Rockingham Deluxe Lounge Chairs; Gateway recalled Laptop Computer Batteries from China. So far for July 2007, we have imported Dangerous Hammocks from Danlong Industries which injured several and we continue our importation of lead jewelry for our children “Essential” Lead Jewelry as Future Industries of New Jersey recalled their “Essentials for kids” jewelry. Afterall, silver and gold are just too pricey for kids’ jewelry I suppose. Striking, isn’t it, how many of these dangerous “Made In China” consumer items were manufactured specifically for children? Is it because the Chinese do not value the lives of American children? Or is it that Americans, amongst the world’s wealthiest consumers, do not value their own children enough to buy them the best? The image, Made In China, is subject to copyright by metz79. It is posted here with permission via the Flickr API by barneykin. It is just another benefit of socialized medicine that has been denied to Americans. If you are wondering why at least six of the suspects in the foiled bombings by Al-Qaeda in the United Kingdom were medical doctors, you need wonder no longer. It has been announced that all of the suspected terrorist medical personnel were employed by Britain’s National Health System. Many years ago, the vast majority of docs in Britain’s NHS were British-trained and British-born. Today “Foreign Doctors Are the Lifeblood of NHS.” The United Kingdom still trains its share of homegrowns, however many, many of these medical graduates choose not to practice under socialized medicine. That was a situation that NHS easily surmounted as they merely replaced them with foreign doctors who were not near as demanding as the British doctors were, even though as far back as the year 2000 there were complaints: Row Over Foreign Doctors. John Edwards Was Right – It’s A Bumper Sticker War! John Edwards was ridiculed for his statement: “The War on Terror is a … bumper sticker ….” Fox News, Wednesday, May 23, 2007, however he has been proved to be a prophet before his time, as recent events in the United Kingdom have shown. At least three bumper stickers attached to automobiles fitted to be potential man-maiming bombs have been found in both Scotland and England. And at this very moment, in New York City and Washington DC, as July 4th festivities are getting underway, police are looking for more bumper sticker bombs. You are currently browsing the Kerfuffles and Flourishes blog archives for July, 2007.